JP 2018-07-31 ¥5,370 (5,800) ? 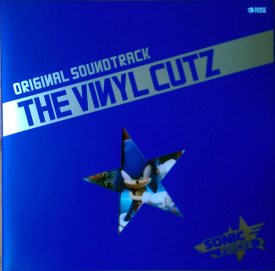 Sonic Forces Original Soundtrack - The Vinyl Cutz (ソニックフォース オリジナルサウンドトラック ザ・ヴァイナル・カッツ) is a two-disc vinyl album containing select songs from Sonic Forces. It was first announced on 14 April 2018, and received a worldwide release in 31 July 2018. This page was last edited on 29 January 2019, at 22:03.